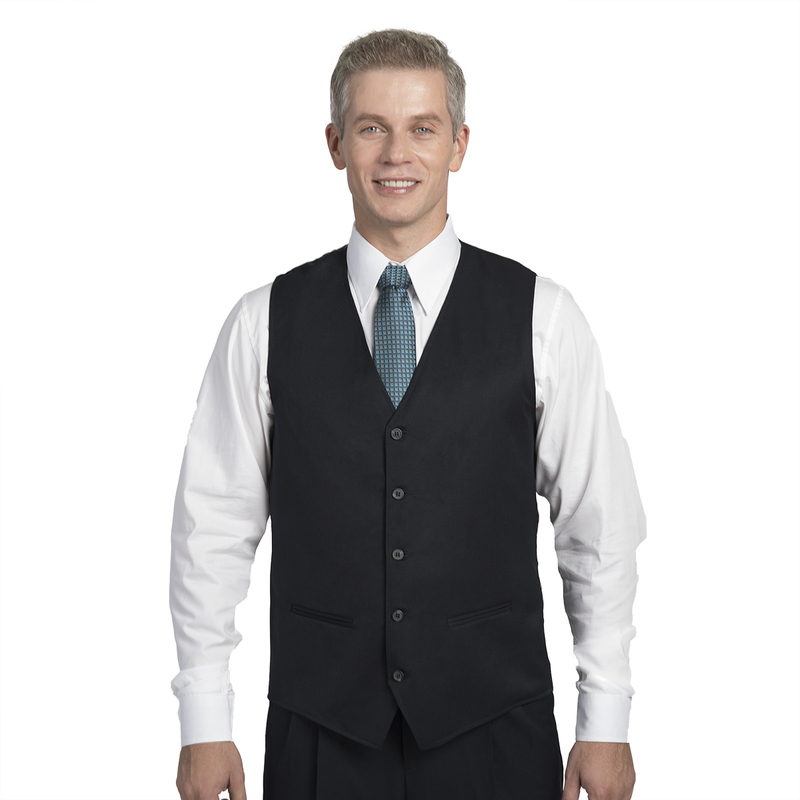 This Women's Vest is made form our signature EasyWear fabric, a fine 70/30 poly/wool blend. It features a tailored silhouette, 2 front besom pockets, 4 suiting buttons, is fully lined and washable. Available in gray.